Cutting-edge dental treatment methods for improved healing, faster dental implant recovery, and methods for tissue expansion prior to extensive bone augmentation surgery for difficult cases at our dental practice Dental Planet in Quesada, Spain. With osmotic tissue expanders we gently and effectively can build up soft bone tissue to make dental implants in the posterior region of the mandible possible. Very often, the insertion of dental implants can become considerably complicated as a result of too little jaw bone and/or gum tissue. The longer a missing tooth is not replaced, the more the jaw bone and gum tissue deteriorate in the area. For this reason, the jaw bone and surrounding gum tissue have to be built up prior to the dental implantation. This ensures the subsequent healing of dental implants. The gum tissue surrounding the jaw bone is especially important as it protects the area from inflammation and promotes circulation. In the field of plastic surgery, osmotic tissue expanders have already been used for several years to pre-stretch or expand tissue where needed (for example, to stretch breast tissue for implants after breast cancer surgery). 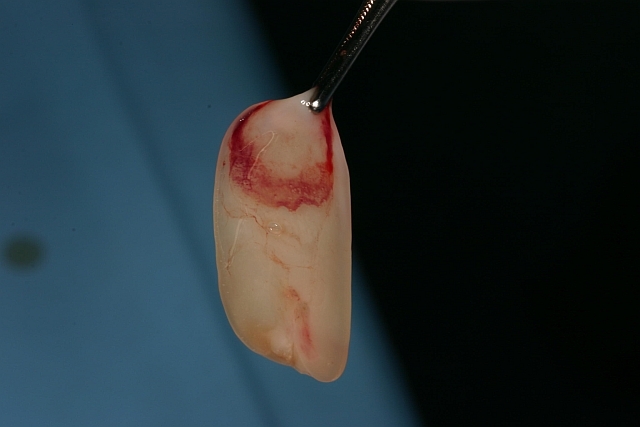 The procedure of tissue expansion recently found its way into dentistry to allow effective augmentation of bone and soft tissue in the mandibular lateral tooth area. Our dentistry Dental-Planet is one of the few dental practices utilising this cutting-edge technology. What are osmotic tissue expanders and how do they work? The osmotic tissue expander is a hydro-gel capsule that, when inserted, absorbs fluid from the surrounding tissue and expands to a predetermined size. 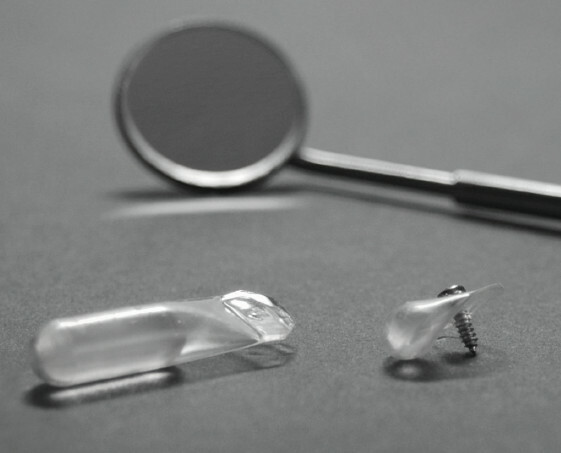 To insert the self-expanding capsule we first must form a small tunnel in the area where the implant will be placed. Once inserted, the hydro-gel capsule starts absorbing fluid and expanding to the predetermined size. When the capsule is removed after six weeks, a small hollow has formed in which bone augmentation can take place. This innovative procedure allows us to gently build bone material in the mandibular lateral tooth area, even in the most difficult cases. Thus it increases the chances for the implantation to be successful and complication-free. L-PRF-Therapy is a state-of-the-art method that is utilised in dental medicine for oral surgery, implantology and maxillary surgery to accelerate healing and bone augmentation. We have recently implemented this revolutionary process in our dental practice Dental Planet. What is L-PRF-Therapy and how does it work? L-PRF stands for Leukocyte – Platelet Rich Fibrin. Leukocytes are also known as white blood cells. They are part of the immune system and are responsible for helping heal our bodies. Platelets are blood cells responsible for attracting healing cells and creating blood clots. They are also key cells for producing growth factors. Fibrin is another component of blood that works with platelets to create blood clots. Whenever an injury occurs, the human body releases cell signals (proteins) to boost and promote the healing process. The L-PRF-System utilises this exact mechanism. To use this process it is first necessary to collect blood from the patient. 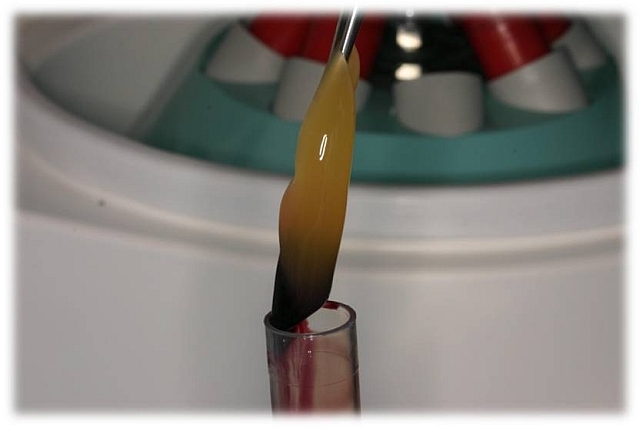 The autologous blood is then processed in the unique IntraSpin ™ System (a specially designed centrifuge) to separate the growth-hormone enriched blood plasma from the rest. This bio-active clot, created from your own blood, can now be used anywhere, especially where quick healing is necessary. As of late, this revolutionary process can be performed without any artiﬁcial components. Because this process uses only your own blood, the risk of rejection or intolerance is impossible. Another advantage of this method is the direct and quick processing of your blood in our dental practice, which is possible through the unique, state-of-the-art IntraSpin ™ System. The bone regeneration in the implanted areas get stimulated, and thus faster stabilization of the dental implant is achieved. Also, soft tissue bonding of dental implants is improved and accelerated. In patients with severe bone loss the bio-active plasma clots can be combined with a bone-growth material to encourage bone generation. 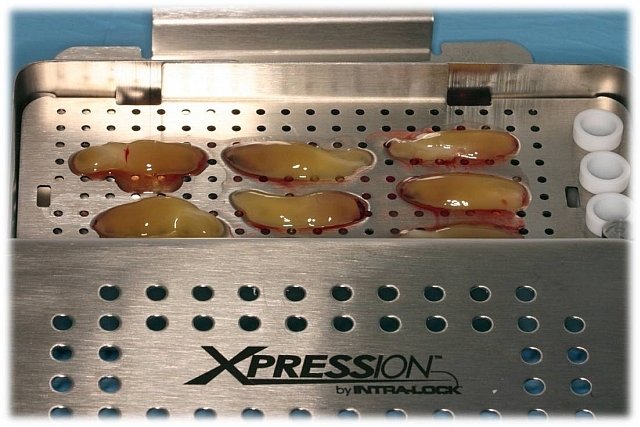 After tooth extraction, the insertion of plasma-concentrate contributes to the faster regeneration of bones and wounds. Also, less bone loss after tooth extraction has been recorded. Better and faster regeneration of bone defects (i.e. in dental implants, periodontitis or after the removal of cysts). Regeneration of gum and exposed tooth necks. In patients with wound-healing disorders, for example in smokers or diabetics, the usage of the L-PRF procedure stimulates bone regeneration. A safe, simple and fast procedure. Since this procedure only uses the components of the patient’s own blood, rejection or intolerance can be ruled out. The processing of the autologous blood takes place directly in our dental practice and takes only about 15 minutes.